Nigeria, in the recent past, suffered a massive heart attack, leading to a monumental corrosion of her value system. The line between night and day has since blurred, and there is no way to clearly tell the difference; people are struggling to tell right from wrong. Last week, the Asset Management Company of Nigeria (AMCON) rightly moved, in line with provisions of the law and common sense, to take over Silverbird Group, whose alter-ego and Chairman (?) 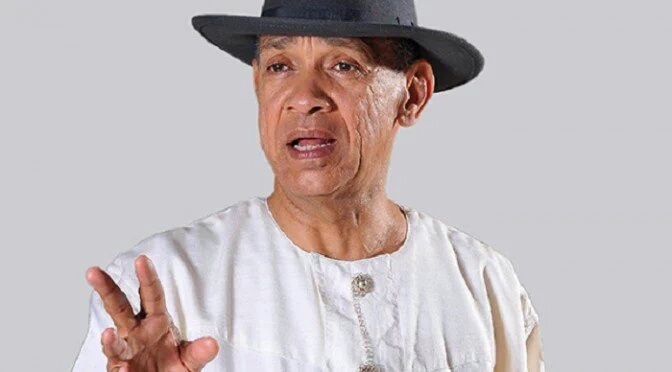 is Senator Ben Murray-Bruce. and emerge from it,” he tweeted. That is as it should be. But apparently, not so for the itinerant vuvuzelas who worship at the feet of anyone or anything to do with the aniti-heroic feats of the recent inglorious past. They never bother to school themselves on the details of any matter before taking up arms. All it needs is for anyone perceived to be an enemy of their enemy to suffer a misfortune. On whose account, it never matters to them. They arm themselves with daggers and swiftly take to the crossroads of the internet for the heads of all imaginary enemies. With calabash on their heads, they begin to come up with allegations that cannot even pass the scrutiny of any infantile cross-examination. They bring in political colouration, ethnic background and religious tendencies into the equation of a simple business relationship gone wrong. It is difficult to tell, for sure, what part in the needless hoopla generated on the back of this routine operation by AMCON in ‘taking over’ Silverbird is to be situated on the corridors of ignorance, mischief, bigotry or a toxic mix of all. But it sure takes some audacity to display the level of illiteracy that has been on display over this matter in the public space. One would ordinarily expect sobriety, if not grief and outrage, that eleven billion naira that could be put to good use in addressing the nation’s infrastructural challenges is in the hands of a private entity, but since the divide between right and wrong has been uprooted, people have now lost the capacity for reason and rational behaviour. …many debtors conveniently made away with the loans obtained from banks. To think that many of the banks which ‘failed’ sat on massive ‘assets’ which, properly managed, could have helped with a turnaround. But the rules then were different. So was it that a ‘National Bank’ with assets spread nationwide was not deemed too big to fail. The story is all too familiar. It is as prescribed in the Rule Book, as written by Nigeria’s big men. If you cannot own a bank to rob the people, borrow as much as you can from one, with a mind of never paying back. It is an unwritten part of the deal. That is what makes you a Big Man in Nigeria. Back in the day, life was easier for the Big Man – he only needed to join hands with insiders to bleed the bank to death and simply walk away from the carcass. The Central Bank of Nigeria (CBN) will come in, buy the bank for one naira, and hand it over to the Nigerian Deposit Insurance Company (NDIC) to clear the mess. For innocent minority shareholders, they lost it all. The staff were thrown into the streets. A depositor was only guaranteed fifty thousand naira (N50,000) of his/her deposit, at the times of liquidation. Though that has since been increased to two hundred thousand naira (N200,000), but what difference does that make? Except in the infrequent cases when enough recoveries were made to be able to extend further benefits to depositors, there was very little compensation in the cases of bank failure. Disillusionment on the part of depositors is the reason why many never even bother to file applications to receive the guaranteed sum from the NDIC. At a point, it was estimated that as much as twenty-five billion naira (N25 Billion) of depositors’ funds were in the custody of NDIC, unclaimed. In the melee, however, many debtors conveniently made away with the loans obtained from banks. To think that many of the banks which ‘failed’ sat on massive ‘assets’ which, properly managed, could have helped with a turnaround. But the rules then were different. So was it that a ‘National Bank’ with assets spread nationwide was not deemed too big to fail. Ten Banks were identified with crises in system assets and AMCON responded through the injection of ₦736 billion liquidity to buy up their assets. Among the ten Banks, only three – Mainstreet Bank, Keystone Bank and Enterprise Bank – were unable to still meet up and were finally acquired by AMCON and tagged as Bridged Banks. The original book value of the acquired non-performing loans was put at ₦4.02 trillion at a price of ₦1.76 trillion, with a commensurate issue of zero bond for the non-performing loans acquired. As it has been canvassed elsewhere, there is a long list of other obligors which AMCON has moved in on to recover funds from, either through receivership or other lawful means. In spite of the limitation and pace of the judicial process which some are taking advantage of to frustrate the process of recovery, AMCON is doing well in exploring means to recover all that has been committed on behalf of the Nigerian people into these private entities. By virtue of the introduction of this novel idea, not only was bank failure largely averted, a number of bank workers kept their jobs and depositors funds were fully secured, with only the shareholders losing their investments, as the share capitals had been wiped off by the virtue of the exposures. Before long, it became apparent that acquiring the non-performing loans, at a discount rate, from the banks was the easy part. To get the debtors to fulfil their obligations to AMCON has become very difficult, with all manner of tricks and shenanigans being employed to frustrate the repayment process. Today, AMCON says it is being owed over N4.5 trillion by about 400 obligors when the 2016 budget itself is only all of N6 trillion! So, in the Silverbird matter, AMCON is not doing anything new or beyond its brief. It has done so many things to make defaulters fulfil their obligations without success. It has published a list of defaulters in many newspapers in a bid to shame them into fulfilling their obligations, yet without success. AMCON is following laid down procedure in placing these businesses in receivership, as the only other option available to recover public funds tied down by the failure of these people to meet their obligations. This money belongs to the Nigerian people, if we must know. The only thing that has changed is that there is a new Sheriff in town that has given AMCON the free hand to fulfil its mandate, without interference from the top, as was the case in the recent past. This is not really about Silverbird or Senator Ben Murray-Bruce, but simply about common sense. As it has been canvassed elsewhere, there is a long list of other obligors which AMCON has moved in on to recover funds from, either through receivership or other lawful means. In spite of the limitation and pace of the judicial process which some are taking advantage of to frustrate the process of recovery, AMCON is doing well in exploring means to recover all that has been committed on behalf of the Nigerian people into these private entities. The gang-up on AMCON either as a result of ignorance or mischief occasioned by politics is completely misguided. One wishes that AMCON had moved swiftly, in the early years, as it is doing now to take on more of these debtors, but the body language of yesteryears in which those who owe the Nigerian people freely roamed the corridors of power must have made things really difficult. To celebrate a man holding on to N11 billion which ought to be in the public kitty while deriding the efforts to make him pay back is difficult to justify. Common Sense demands that the right thing be done. NextMavin Star, Di’ja welcomes baby boy.